Our Discord channel discussions on May 30th have touched upon a more 'realistic' map for Azeroth, one that shows small villages, towns, and has a more realistic scale. This is a project I have stopped following up on regarding making a more realistic map. This assumes the population distribution of Warcraft 3, end of the Frozen Throne. This shows dots, squares, and stars. The density of population increases in more prosperous areas such as in Quel'thalas and Lordaeron, but averages 70/square mile (or 630 per pixel). Each pixel on the map is a square 3 miles on each side. Using a program like MS Paint, you can measure the distance between two points, multiply the length by 3, and end up with the distance in miles. I was trying to work out how to do this sort of thing way back in the early days of this forum. I thought I could just change the scale to match the sizes from the RPG books and the novels, but Night Druid, Bonetti and others were telling me that it was not that simple. From what I recall, they were saying that cities like Stormwind or Ironforge would need to be expanded in size to match the populations, while farms would need to stay the same, but increase in quantity. And additional towns and villages would need to be extrapolated from what was there. What sort of rules did you use to transform the standard map of Azeroth into the map you created? The above map assumes the RPG scale (or whatever scale is most consistent--it changes frequently in every game or description). I've chosen one scale. I believe it was from the Tides of Darkness book, which described the distance (in walking) between two villages in-game, and I've applied that to the map. As you say, the standard map requires that you scale down cities' unrealistically large depictions on the map, and increase the number of villages and towns. That is what I have done in north Eastern Kingdoms, where it ends with 3 metropolises (population of 50,000+, which are Undercity/Lordaeron City, Gilneas, and Stromgarde), 140 cities, 800 towns, and 132,000 villages. The dots on the map include towns, with villages being too tiny to be properly represented on the map. 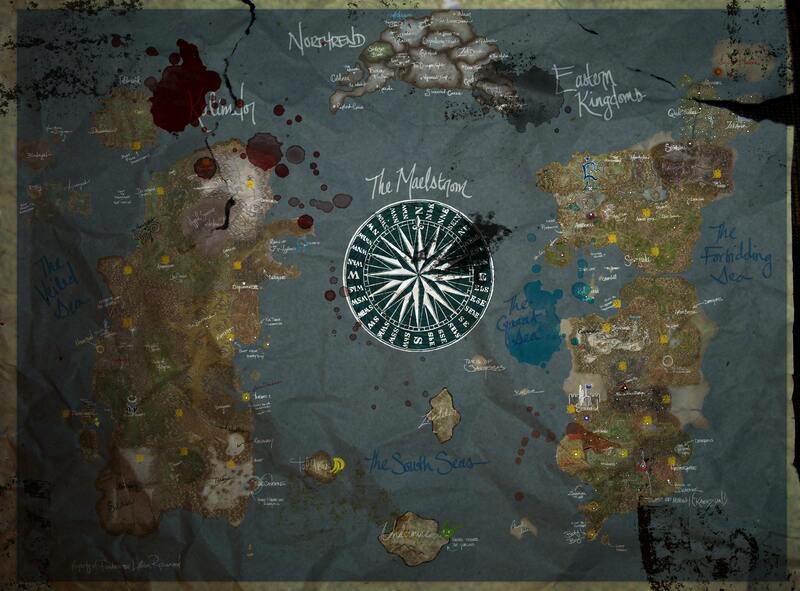 The Kingdom of Lordaeron itself is 2,700,000 square miles (one-quarter the size of Europe). Messing with density and halving the total populace can be done to tweak numbers within projected ranges, although it is useful to assume that a kingdom always has enough in cash and manpower to support one soldier per every 50 population. Here is a useful link for Warcraft 3 styled world maps. As I understand it, it is an incomplete project, but it is pretty nice.